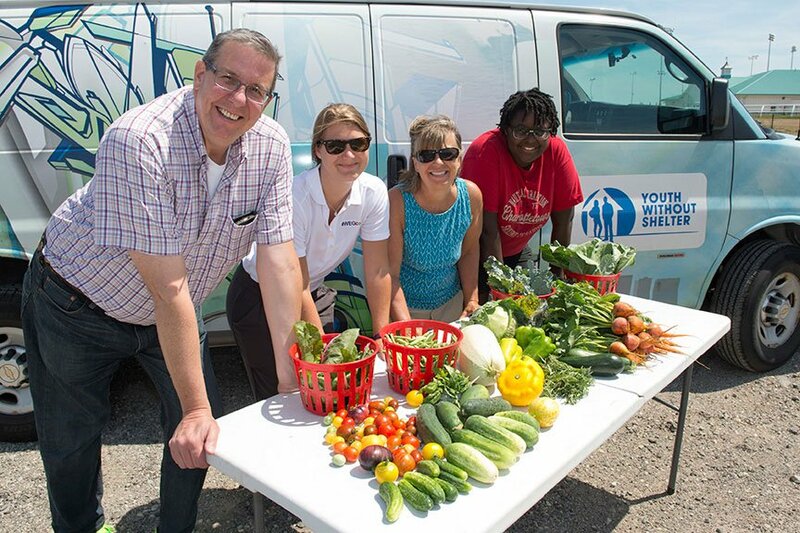 The Community Food Garden at Woodbine Racetrack provides families in need with access to fresh, healthy food, while strengthening the communities around us. increase local knowledge and skills-sharing. In this fertile initiative, we work closely with Canadian charity Evergreen, Canada’s leading environmental charity known for transforming landscapes into thriving community spaces, to ensure that the Community Food Garden can reach its full potential. With Evergreen’s help, we have been able to support a number of community groups in the Rexdale neighbourhood who have an urgent need for access to healthy food. As the garden expands, so will the number of groups it can support. We are consistently working towards including more of the community in the programming and harvest.